The tour was very well organised and the driver was very friendly. The morning pick-up was a bit chaotic as there were several agencies at the same place but the driver managed to find us all. We had around 2 hours at the South Rim and it was so amazing and breathtaking. I personally would prefer joining a 2-3 days tour to explore the Grand Canyon but I think this tour is convenient (and bargain) for solo travellers who don't have much time. 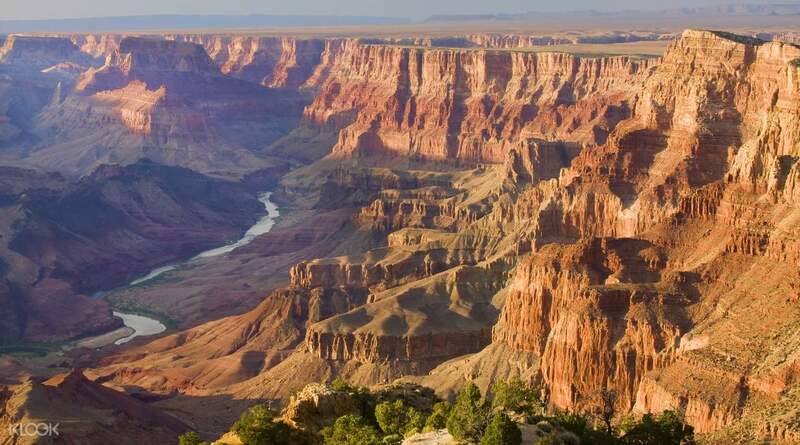 Take a grand tour to the stunning Grand Canyon South Rim, where you get to see one of the world's best natural wonders. 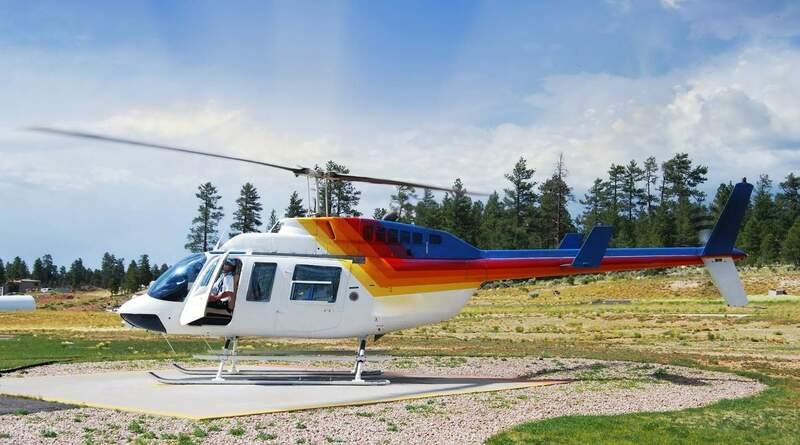 This tour offers great activities such as a 30-minute helicopter ride over the canyon, an IMAX movie ticket, or a jeep tour to the national park. 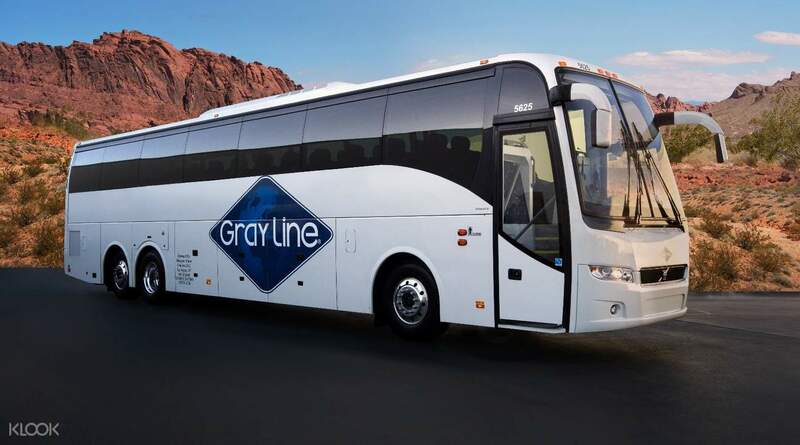 Enjoy a hotel pick up service or meet up with your guide at Gray Line Tour Center in Las Vegas where you'll board on a comfortable coach. Listen as your guide will narrate about the area's most historical and interesting facts about numerous native cultures and early Western Settlers of northern Arizona. When you arrive at National Geographic Visitors Center, you can then enjoy the different activites set for you depending on your chosen package. Have some lunch and do some souvenir shopping, head on Mather Point to see the breathtaking sight of the Grand Canyon South Rim, hop aboard the helicopter to get a bird's-eye view of the canyon, take a jeep tour to visit the top overlooking sights and points, or perhaps learn more about this geological wonder with your IMAX movie ticket. Whichever package you choose, this is a wonderful opportunity to get the most memorable Grand Canyon experience. Slip away to the Grand Canyon National Park and enjoy a full day of fun and exploration! Pick up service is available for a few selected locations. Please refer to Grand Canyon Pick Up List for the specific location and time for your hotel. Awesome experience! Comfortable bus ride from Las Vegas. We had fun! Awesome experience! Comfortable bus ride from Las Vegas. We had fun! We enjoyed the bus tour & helicopter view of magnificent south rim grand canyon. Its a long hour trip from 6 am till 10 pm return vegas to canyon. It worth it! 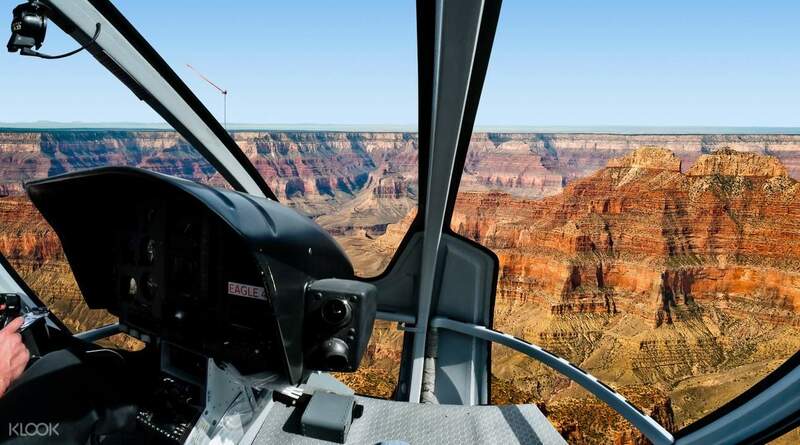 We enjoyed the bus tour & helicopter view of magnificent south rim grand canyon. Its a long hour trip from 6 am till 10 pm return vegas to canyon. It worth it! its a wonderful experience, a must to anyone’s bucketlist. but make sure to check the bus pickup point and time coz some drivers don’t care and just leave you behind. its a wonderful experience, a must to anyone’s bucketlist. but make sure to check the bus pickup point and time coz some drivers don’t care and just leave you behind. The tour was very well organised and the driver was very friendly. The morning pick-up was a bit chaotic as there were several agencies at the same place but the driver managed to find us all. We had around 2 hours at the South Rim and it was so amazing and breathtaking. I personally would prefer joining a 2-3 days tour to explore the Grand Canyon but I think this tour is convenient (and bargain) for solo travellers who don't have much time. The tour was very well organised and the driver was very friendly. The morning pick-up was a bit chaotic as there were several agencies at the same place but the driver managed to find us all. We had around 2 hours at the South Rim and it was so amazing and breathtaking. I personally would prefer joining a 2-3 days tour to explore the Grand Canyon but I think this tour is convenient (and bargain) for solo travellers who don't have much time. grayline plans the route well. a day trip to Grand Canyon is good enough. just give yourself enough time to rest on bus. the grand canyon view is worth the travel. grayline plans the route well. a day trip to Grand Canyon is good enough. just give yourself enough time to rest on bus. the grand canyon view is worth the travel. STAFF WAS INFORMATIVE AND THE DRIVER WAS VERY NICE AND SUPPORTIVE IN ASSISTING THE LOGISTICS LIKE LUNCH VOUCHER, ROUTE-PLANNING BETWEEN THE TWO VIEW POINTS. STAFF WAS INFORMATIVE AND THE DRIVER WAS VERY NICE AND SUPPORTIVE IN ASSISTING THE LOGISTICS LIKE LUNCH VOUCHER, ROUTE-PLANNING BETWEEN THE TWO VIEW POINTS. Very organised tour. the tour was great... well taken care by the tour guide. Very organised tour. the tour was great... well taken care by the tour guide. Really great! Bus driver was really friendly and knows the details of the place. It was a long drive, but it was worth it! Really great! Bus driver was really friendly and knows the details of the place. It was a long drive, but it was worth it!